Well hello to you my reader chums! 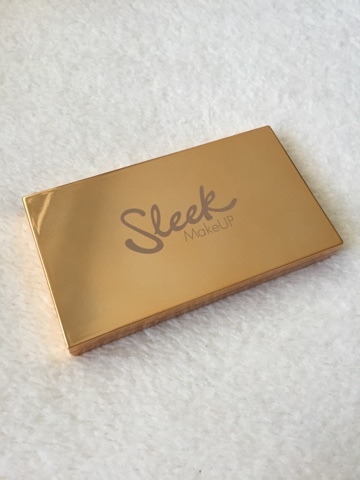 Over the past few weeks/months, this stunning Sleek highlighting palette has taken the beauty blogger world by storm. 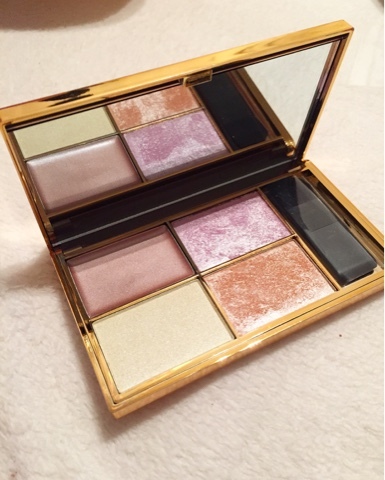 With the dazzling rose gold packaging and beautiful shades, it's a picture worthy palette I've been obsessing over. I picked this up a couple of weeks back as I wanted to test out some new highlighters during the Spring season and I have to admit, it hasn't disappointed me. Packaging - This was the initial feature which enticed me to buy the highlighting palette. I love the rose gold, mirrored exterior, it just screams beauty blogger! The mirror inside is huge too, perfect to take with you when travelling and with the thin design, you've got four highlighters in one to bring on the go. 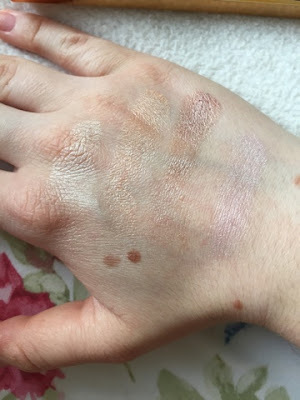 Colour range - When I picked up and swatched the palette, I was thoroughly impressed by the range of shades you get. There's a cream, pink toned colour, a matte, slightly shimmery ivory colour and two more intense highlighting shades; a sparkling pink, plus a warm toned orange. Hemisphere (top right) - Out of all four shades, this one is my favourite for a more glammed up look. The shimmery pink tone is absolutely stunning, bringing so much light to your makeup! I love dusting it on the cheekbones and brow bone as it really helps enhance those features. I've also used it for packing on as an eye shadow when going for a pink, spring look because it adds an extra highlight to the eye. Equinox (bottom right) - This bronzed toned shimmer is the best shade to use on an everyday basis. I find it gives a more natural glow to 'Hemisphere' and the overall complexion has a much warmer look. It'll be perfect if you're going for a bronzed up, summer style makeup. Ecliptic ( top left) - I have to admit, even though the consistency of the cream finish is really lovely, this shade is my least favourite. It's recommended to use on the brow bone, however when applied, it looks too over the top and would work better as a cheek bone highlight. 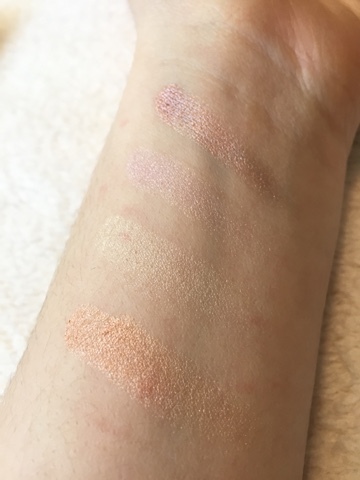 I haven't used 'Epliptic' as much, yet when swatched the pink is glorious and if you prefer cream highlighters, this is for you. Pigmentation - The pigmentation is just as beautiful as the colour range and packaging. Unfortunately the camera hasn't picked up the intensity of each shade but I promise you, the colours are more stunning in person. As I said, each range in what they're best used for, some suiting more night out style looks and others ideal for everyday use. 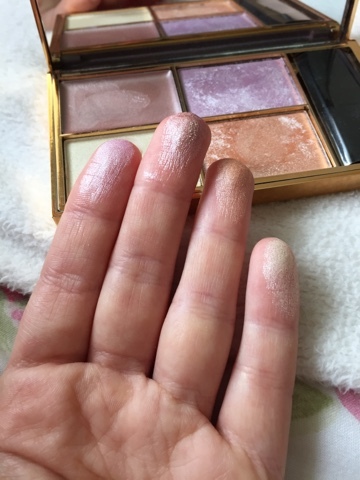 Lasting power - I use all highlighter as subtle as I can, focusing on a more natural look so I try not to apply too much! However, I find that the shimmer does stay in place throughout the day, becoming more noticeable if I hit the sun. Overall, I would say it's certainly worth the swoon worthy hype. With immaculate packaging, incredible, dazzling shades to suit a variety of looks and skin tones, it's a great addition to anyone's makeup collection. As you get four shades in one as well, it's an ideal travelling companion because you have a vast range to choose from. 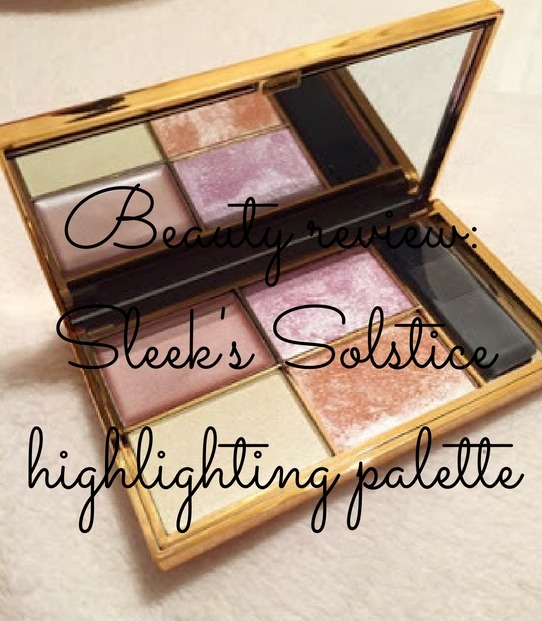 I hope you enjoyed my review on Sleek's Solstice palette. Have you tried these highlighters? awrghh the packaging and the product is so beautiful! Such pretty shades to cover everyone's needs! I keep hearing amazing things about this palette and your pushing me closer and closer to get it! This palette is so pretty! 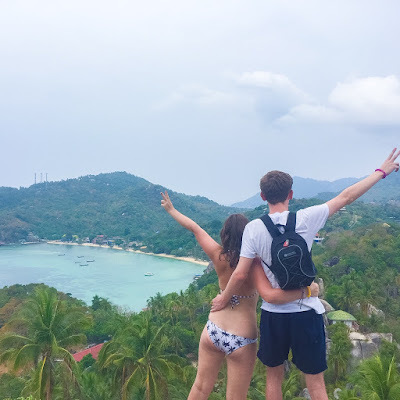 I'll have to give it a try, great post!